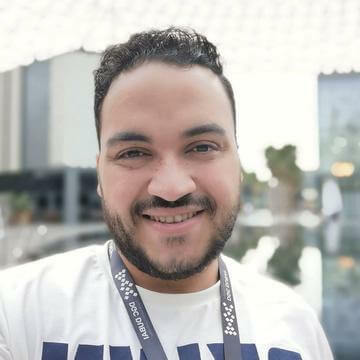 Islam is the Head of Arabic Editorial Team at IGN Middle East along with managing editorial staff, Islam produces written and video contents and is the host for Weekly Fix news show. He loves to play different type of games especially RPG. He's a big fan for Liverpool FC. Battlefield V looks like an early access version of what the game will look like next year. More of the same, but it offers the same fun and smooth playing style with more light on Black Cat. A unique but expensive space experience if you want to enjoy it in full. Assassin's Creed Odyssey has made many great features that make it one of the best RPG games of the current generation. Very briefly: Forza Horizon 4 is the best racing game in history. PUBG has introduced the Battle Royale mode to revolutionize the world of multiplayer games, but what next?! A good expansion that restores the balance to the series, but you will have to pay a hefty amount for it. The classic RPG game is hampered by the difficulty of using of the controller and kept me from enjoying it to the extreme. PES 2019 is an excellent step in the right way at the terms of gameplay, but Konami must focus on delivering more exciting and complex gameplay modes. F1 2018 has provided many improvements that have added more fun to its F1 series. Although this version is similar to the previous year's user interface, game celebrations, etc., the addition of new media and RPG mechanisms in Career Mode gave the game more Of dynamism along with improved artificial intelligence and new multiplayer rules. Overcooked 2 offers a more enjoyable and fun collaborative experience that will make you spend a lot of fun times with your wife, family or friends. With a good campaign that offers more than 40 different levels and arcade and Versus game modes, this game will always appeal to you as long as you do not play alone. . Milestone could have offered the best motorcycle racing game ever with the MXGP Pro, but despite the dramatic improvements in graphics and gameplay, the game's lack of balance in difficulty, few content make it lie in the middle as one of the games. The experience is good, but not the best. In my opinion, the studio needs a rest period to rearrange its papers and focus on one or two titles a year to give them a better experience, rather than offering more than one medium-level titles. Awesome Adventures of Captain Spirit presents some glimpses of the second part of Life is Strange, and how the story will look. The series preserved the first part of distinctive soundtrack and encouraged exploration, but did not completely eliminate the flaws of the first one. The story is as slow as usual, and the studio has not revealed everything in its wake yet. Although the Nintendo Switch version may be have lower resolution compared to other cosnoles, Crash Bandicoot N.Sane Trilogy is suitable to be played while you are anywhere by carrying the switch with you anytime, anywhere. I feel satisfied with the design of the game on the switch, it offers the same experience with the original one with some good additions. Unfortunately, in Tennis World Tour, I was reviewing an incomplete game or a beta version of a game - which I obviously reject - so that Bigben Interactive could exploit Roland Garros to promote and sell the game at this time of year, It looked very promising at first, but it came out in its worst form to represent a new disappointment for tennis fans who crave a tennis game like Top Spin, but they seem to have to wait for more time. However, I do not recommend buying the game in its current state, but let's wait and see how the game will look like in the future. The Summerset expansion adds more interesting hours to TESO, offering a story that takes about 40 hours to finish with some side quests. The story may be the best in expansion. Psijic Order plays a big role in this expansion and lets you open a new skill tree with new time control skills, if you have not tried the game before then this is the time to try it out.